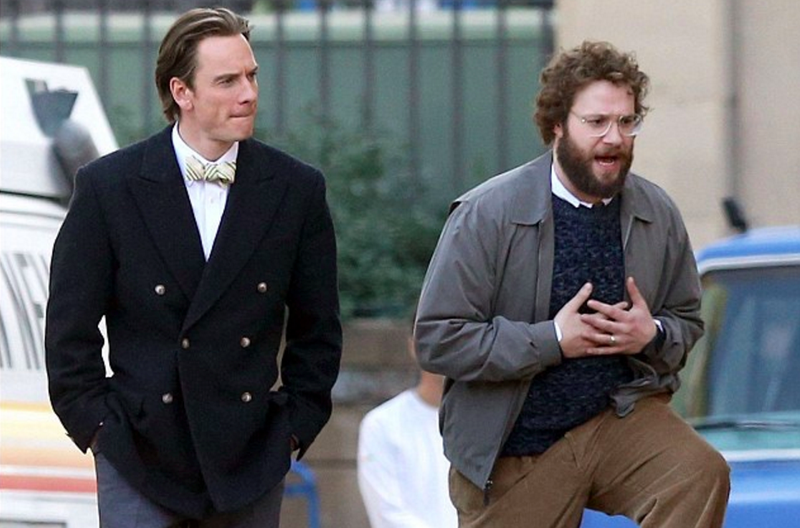 The movie Steve Jobs bombed at the box office, making a mere $7.3 million. Have we officially reached Jobs overload? Jobs, his genius for design and demanding personality, have all been thoroughly picked over. There’s the Walter Isaacson biography that formed the basis for the Sorkin picture, the Kutcher biopic, and endless profiles and think pieces. Steve Jobs is many things, but he is not an unknown commodity. So unless you’re a Jobs fanatic, Steve Jobs wasn’t exactly a revelation. We all know that Jobs wasn’t the nicest guy, that he had a tumultuous relationship with his daughter Lisa, and that he fought through a succession of technological flops before emerging triumphant with the iMac. Five minutes into Steve Jobs, I didn’t think I was gonna make it. If you are a Jobs fanatic, you’ve already watched a ton of Jobs movies–on top of the derided Ashton Kutcher film Jobs (which made only a little less than Steve Jobs did on its opening weekend), there’s the Alex Gibney doc Steve Jobs: The Man In The Machine. And who could forget Pirates of Silicon Valley? The reality is that we have reached peak Jobs, and no one was clamoring for more. Plus, the movie had been mired in melodrama for years, as Sony’s email hack revealed a succession of issues with directors, stars who abandoned the project, and endless studio infighting. Fassbender and the rest of the cast do a fine job with the material, but it’s a hard sell with an unnecessarily mushy ending. Critics may have liked the movie, but audiences sent a clear message: they already know who Steve Jobs was. And they don’t care enough to sit through another rehash of the man and his machines. Serial Recap, Episode One: "Duty Status Whereabouts Unknown"